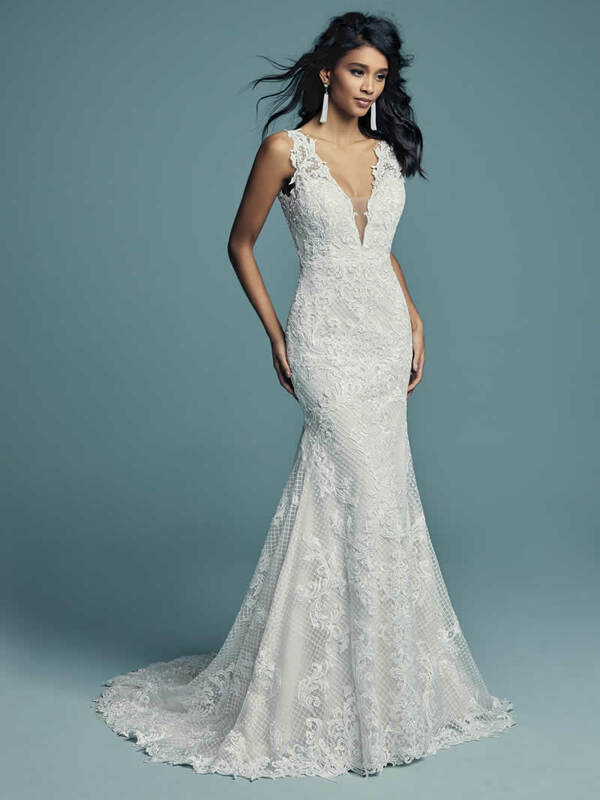 Lace motifs cascade over crosshatch and tulle in this unique fit-and-flare wedding gown, completing the bodice. Featuring an illusion plunging V-neckline, straps, and square back. Lined with shapewear for a flattering fit, and finished with covered buttons over zipper closure.